More life. Less Laundry. 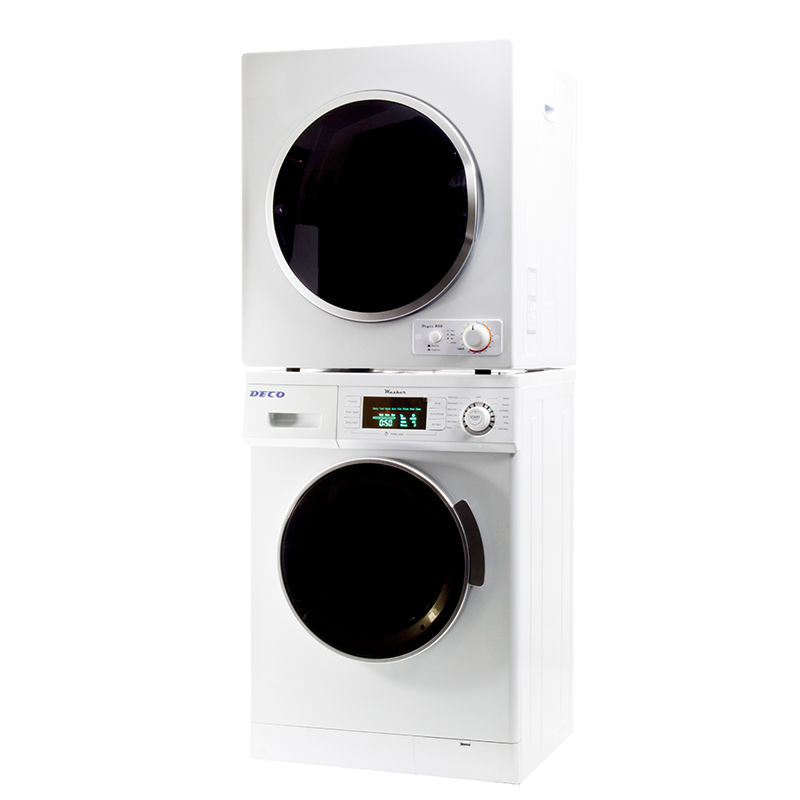 The 820 Washer and 870V Dryer Duo. Meet your new dynamic duo. 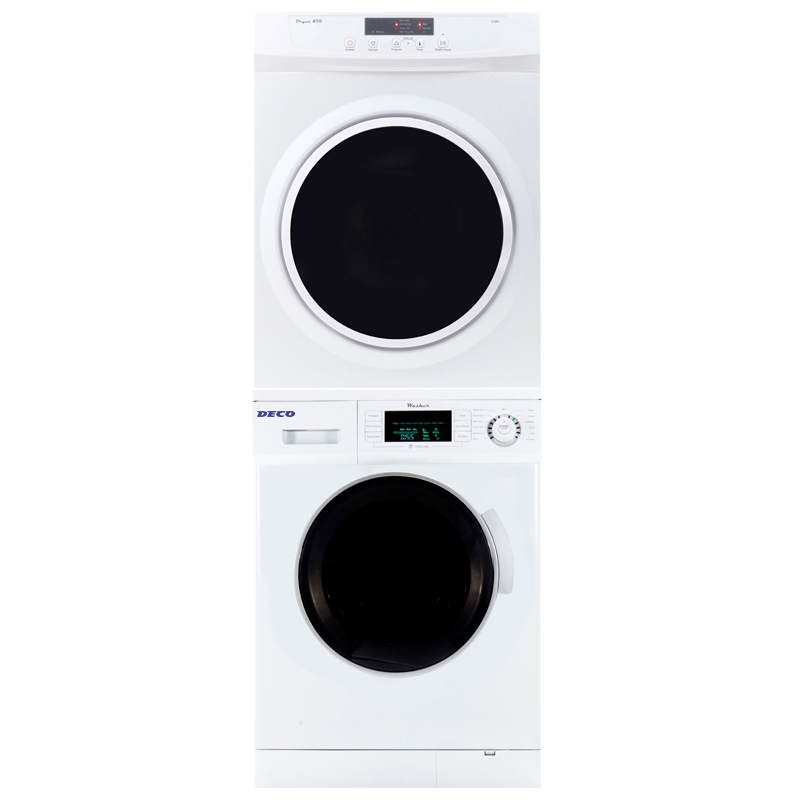 This stackable washer and dryer set takes to design and convenience to a new level—saving you time, energy and hassle. 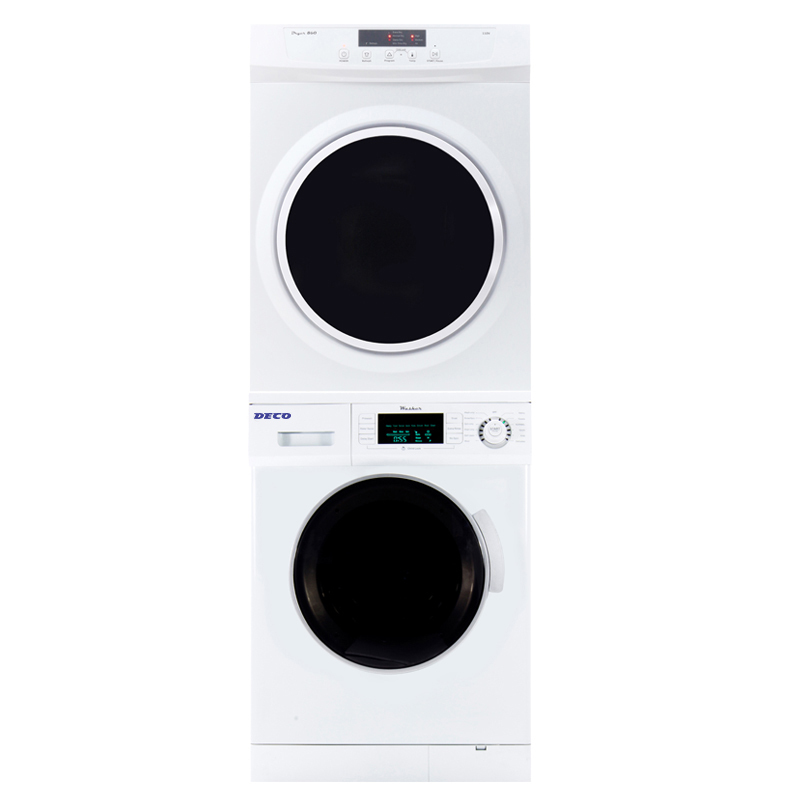 Say goodbye to the frustration of doing laundry with the Deco 820 Washer. With a 13-pound capacity, this ultra-compact 33.5 x 23.5 x 22 inches (HxWxD) machine is a favorite choice for families living in apartments, condos and other small spaces. But don’t let its size fool you: this slim washer is packed with innovation that makes laundry a breeze. Fall in love with its powerful 1000 RPM spin speed, which washes your clothes faster, and feels confident that its energy- and water-saving features are keeping your utility bills in check. This sleek washer also comes equipped with advanced features such as add-a-sock option, child lock, delay start and prewash. Adjust the washer’s leveling legs to make laundry a truly hassle-free experience. At just 32.3 x 23.6 x 22.3 inches (HxWxD), with a 3.5 cubic foot capacity, the compact Standard Dryer 870-220V will upend everything you thought you knew about size and power.The dryer boasts 220V of drying power, to ensure your clothes dry faster, every time. Its 3 programmable auto and timed drying levels will protect all your clothes, no matter the material. To make drying even easier, we’ve included advanced options that pause your drying on command, refresh, avoid wrinkles, and ensure the machine stays locked when not in use.The 870-220V comes with both 4-pin and 3-pin electrical plugs and is available in white with a sleek silver trim.